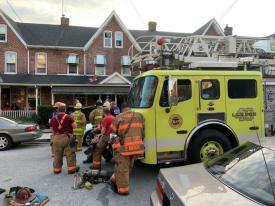 On Tuesday April 16, 2019 the Modena Fire Company was dispatched for a engine at 1631 to assist Coatesville City on a reported Dwelling along with engines from Westwood, Coatesville VA, and Ladder from Keystone Valley. City units arrived and reported smoke showing laying out to hydrant. 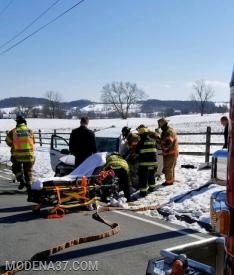 On Sunday evening April 14, 2019 the Modena Fire Company was dispatched at 2005 to a reported auto accident in front of 2079 Strasburg Road in Newlin Township. Chief 37 made the response and was advised caller reporting a three vehicle accident unknown injuries. Ambulance 37-1 arrived on scene confirming report and checking on injuries. 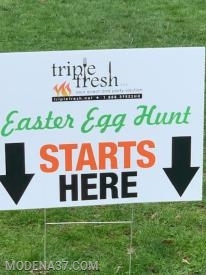 On Saturday April 13, 2019 the company made it way to Triple Fresh Market in East Fallowfield to assist with parking and pedestrians at an Easter egg hunt. Crews set up cones and directed people to park across the street and assisted them to the starting line. Some of the company members children joined the 100 plus kids in the event and a good time was had by all. 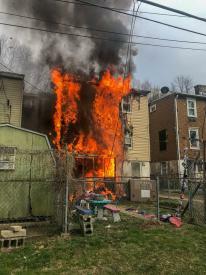 On Sunday April 7, 2019 the Modena Fire Company was dispatched for a engine at 1732 to assist Coatesville City on a reported Dwelling along with engines from Thorndale, Coatesville VA, Wagontown, and Ladder from Keystone Valley. City units arrived and reported working kitchen fire. 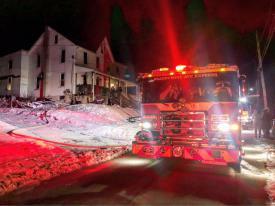 On Tuesday evening March 12, 2019 the Modena Fire Company was alerted to assist the City of Coatesville on a reported house fire at 338 Madison St in the West End of the city. Engine's 37-1 and 2 made the response, Engine 43 arrived on scene reporting heavy smoke showing requesting a working fire dispatch. 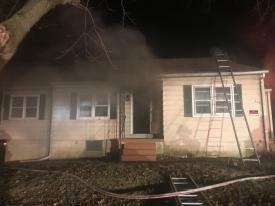 On Wednesday evening March 6 2019 the Modena Fire Company was alert at 1847 for a reported dwelling fire at 20 South Brandywine Ave in the borough of Modena. 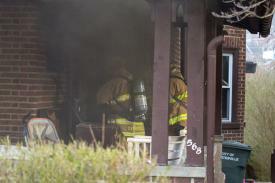 Also on the assignment was Ladder 41, Engine 43, Station 44, Engine 49-5 and 49 RIT. On Tuesday afternoon March 5th 2019 the Modena Fire Company was alerted at 1352 hours to an auto accident reported with entrapment at Route 82 and Dupont Rd in West Marlborough, also on the assignment was Rescue 44 and medic 93. Assistant 37 (Bryant) went responding and was advised of two cars head on with one trapped, Assistant Hoseman 23 (Cole) was passing by and stopped and confirmed the report.